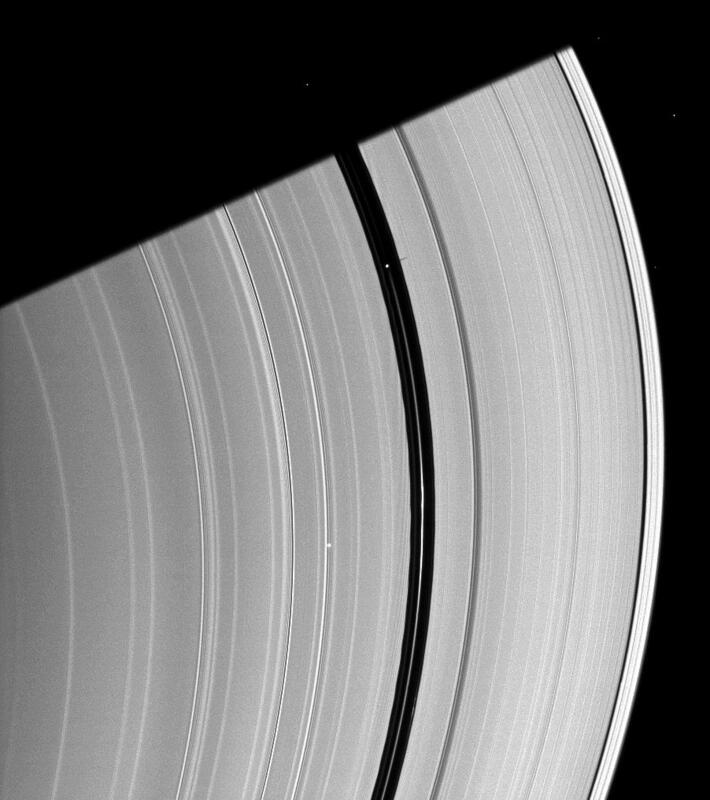 Saturn's moon Pan, orbiting in the Encke Gap near the top of the image, casts a short shadow on the A ring in this image taken about six months after the planet's August 2009 equinox. 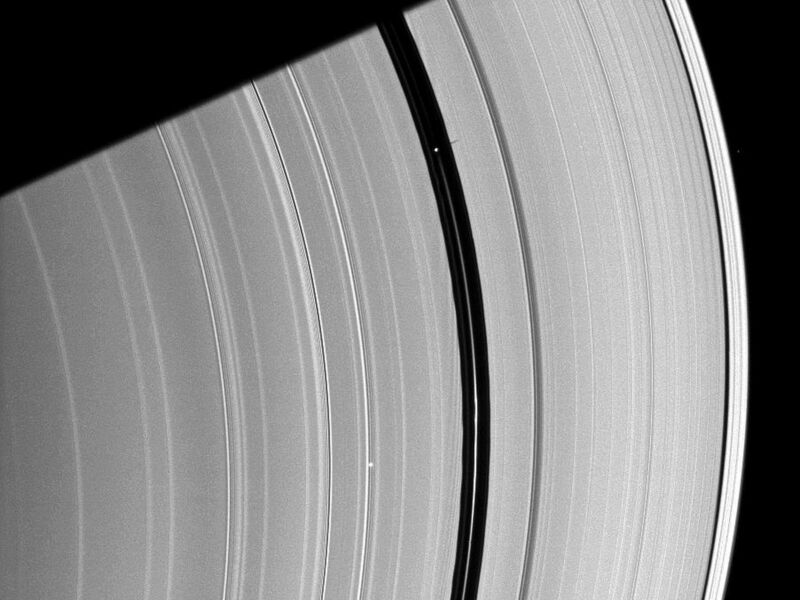 Pan (28 kilometers, or 17 miles across) also creates dark wakes, which can faintly be seen here immediately interior to the inner edge of the Encke Gap. See PIA07537 for another example. 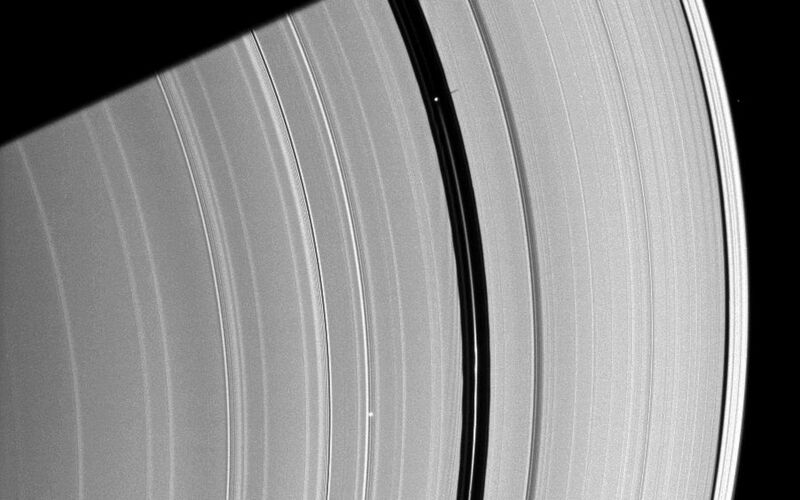 The shadow of the planet is cast diagonally across the rings at the top of the image. Five background stars are visible. This view looks toward the southern, unilluminated side of the rings from about 17 degrees below the ringplane. 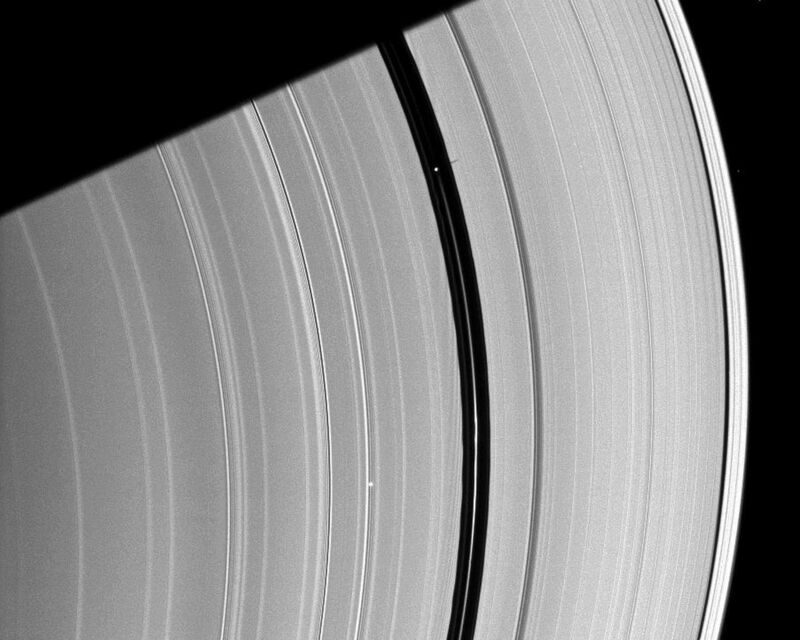 The image was taken in visible light with the Cassini spacecraft narrow-angle camera on Jan. 8, 2010. The view was acquired at a distance of approximately 1.7 million kilometers (1.1 million miles) from Saturn. Image scale is 10 kilometers (6 miles) per pixel.